Now for a neat twist on LEGO building. 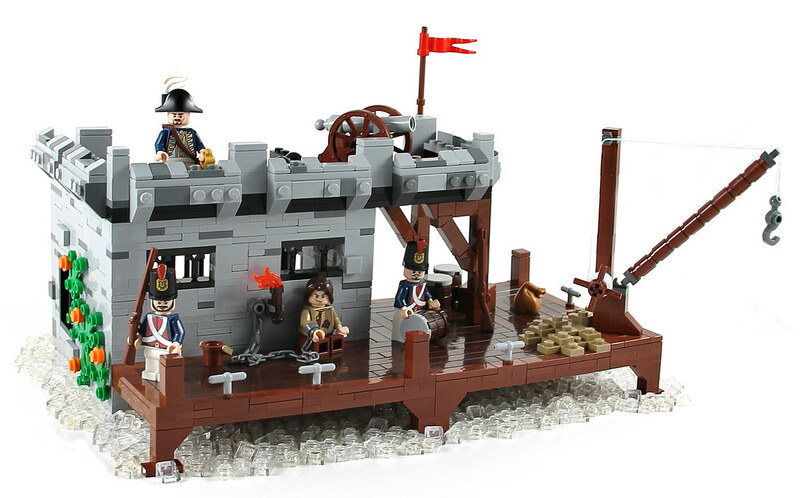 TheBrickAvenger has created a MOC based on a Playmobil set (#3112) My brother and I played with Playmobil toys often when we were little, and it's amazing to see a LEGO variation of one of their sets. I really like the custom cannon, and the overall attention to detail. The dock surface is really well crafted with the intricately placed smooth plates. See more views in his Brickshelf Gallery or on Flickr.